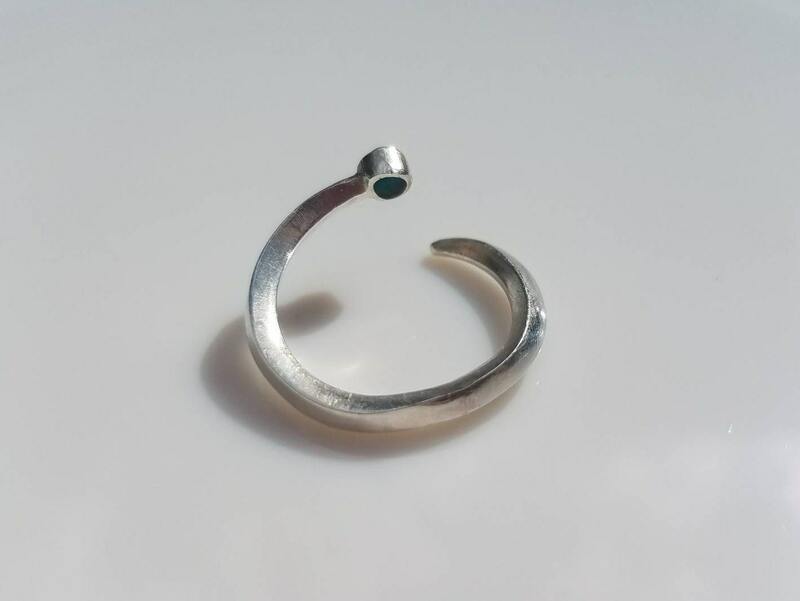 I created this abstract representation of one of my favourite themes, the snake. 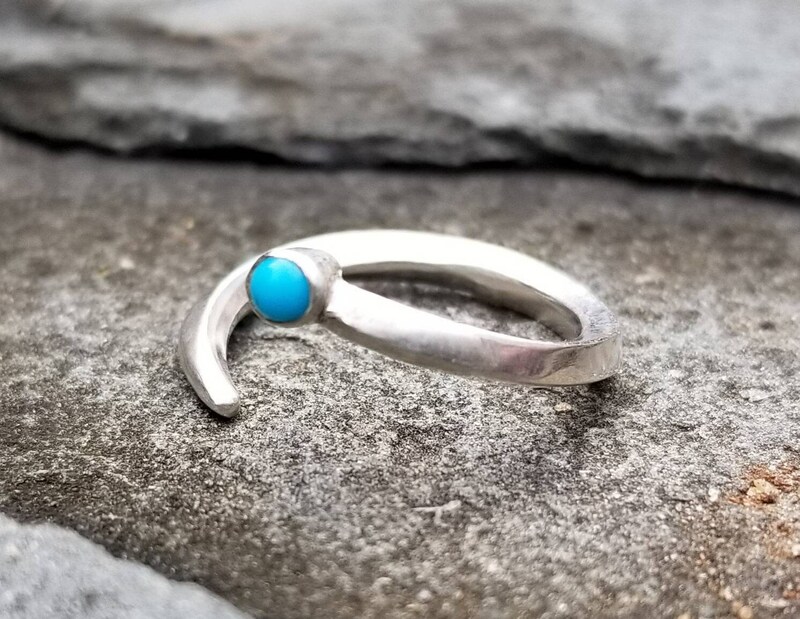 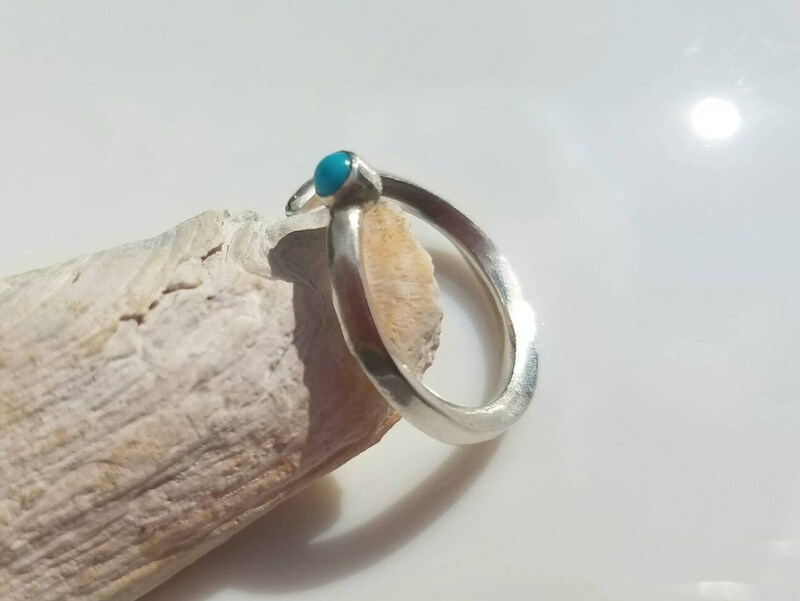 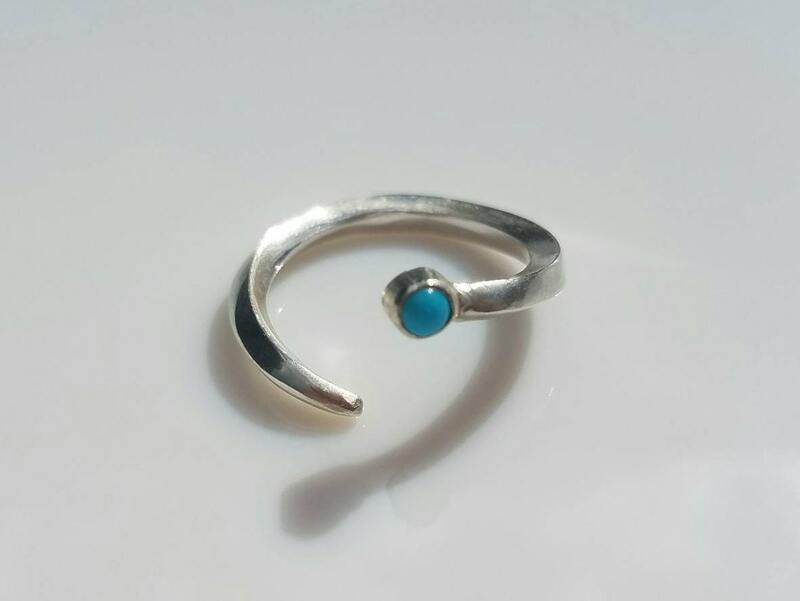 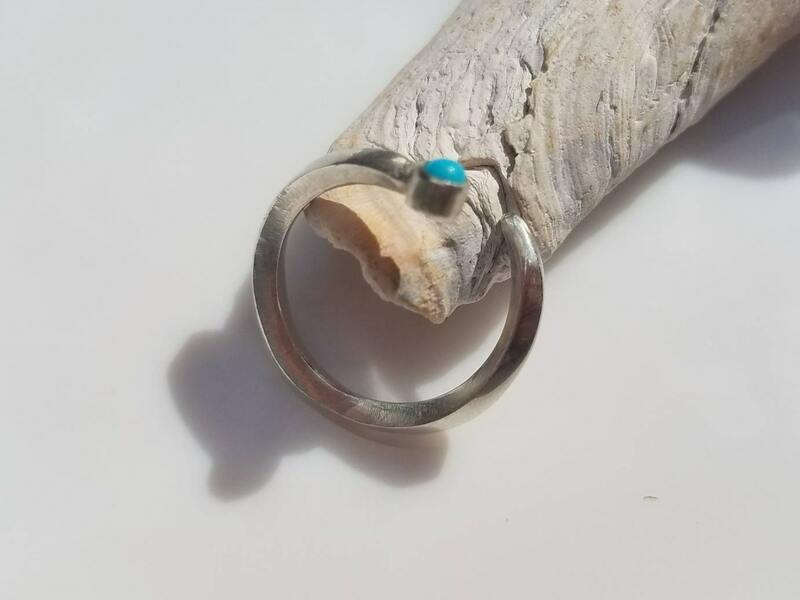 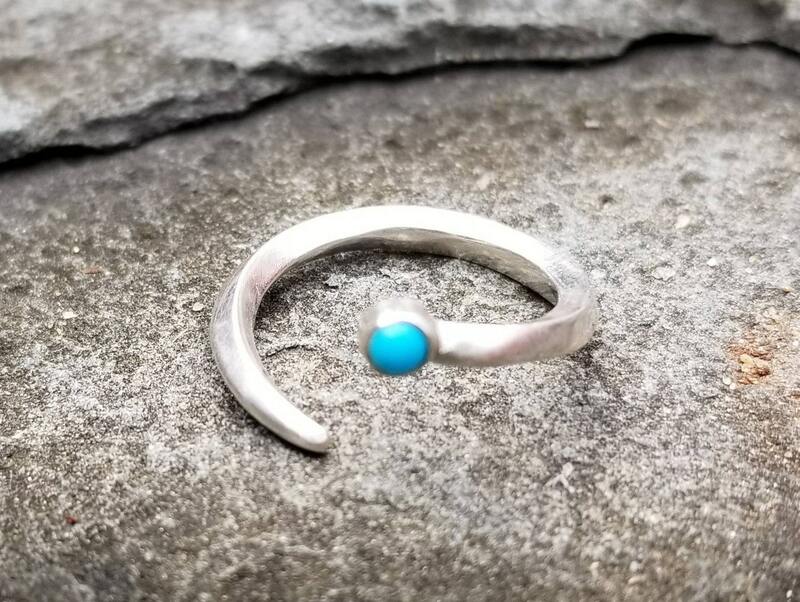 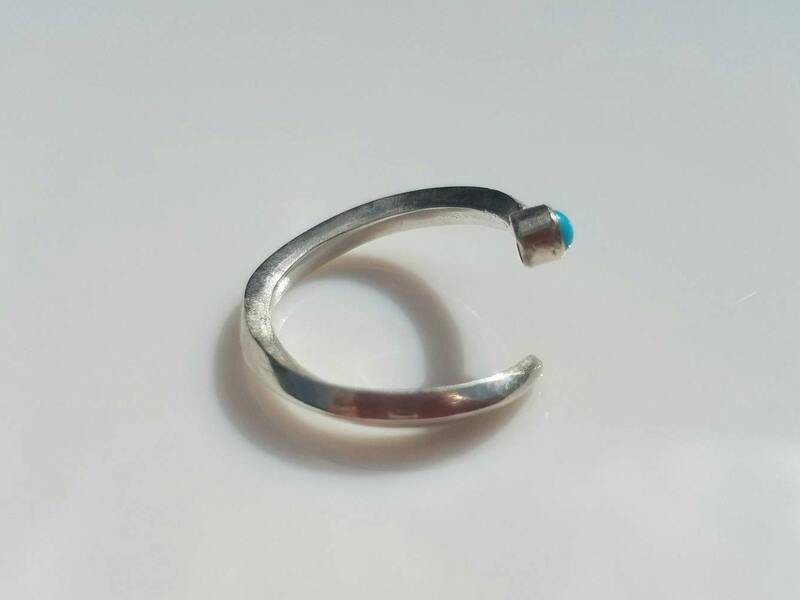 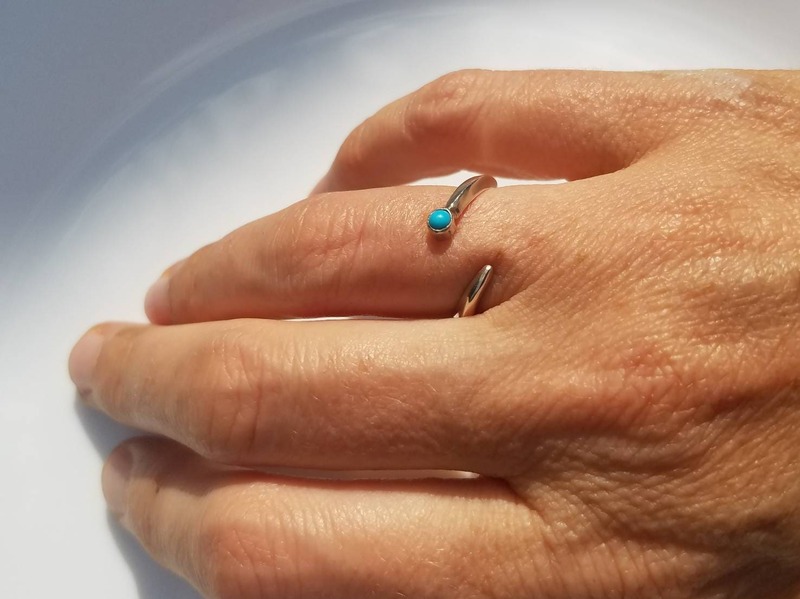 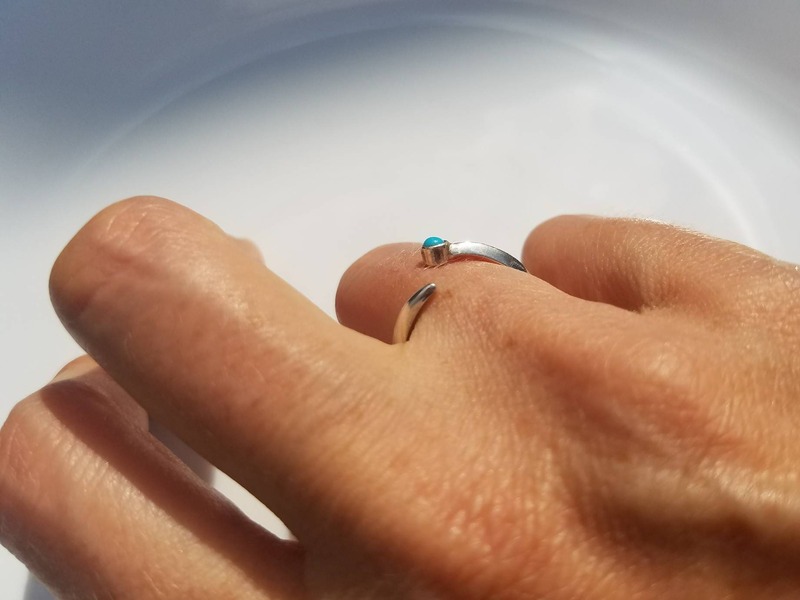 Hand forged and set with a bright sky blue 3mm turquoise, this ring looks elegant and modern. 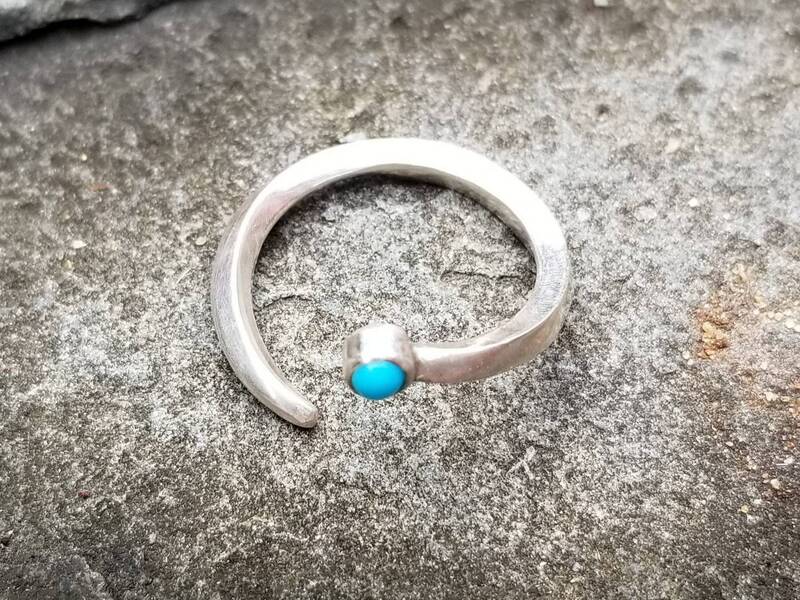 It is one of a kind and slightly adjustable between size 6 and 7.